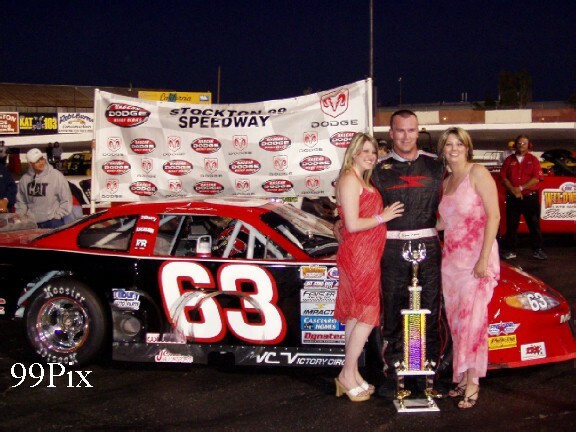 STOCKTON -- Jason Fensler, #63, of Wilton won his sixth consecutive race Saturday night at Stockton 99 Speedway in the Super modified Racing League of the Wild West Shootout, and after 100 laps he still had a good car. 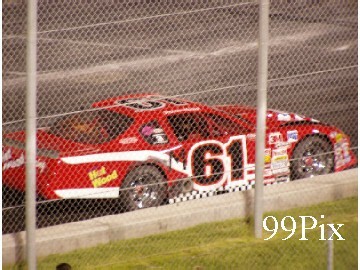 "I had such a good race car," Fensler said. "I didn't have to use everything we had." 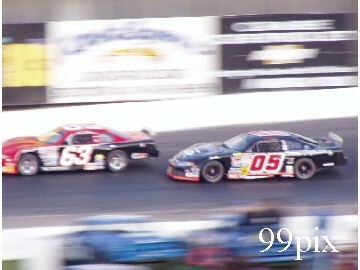 Fensler took the lead from Roseville's, #05, Eric Schmidt on a restart at the 27th lap and never relinquished the lead. 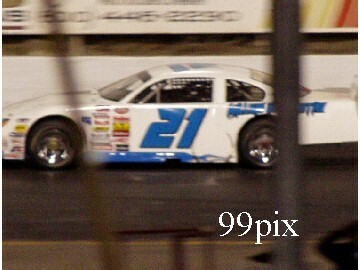 The win was Fensler's third of the season in the series. "I was going to ride behind him for a while," Fensler said. "I decided to go to the top, and the car was so good it just went around on the top." 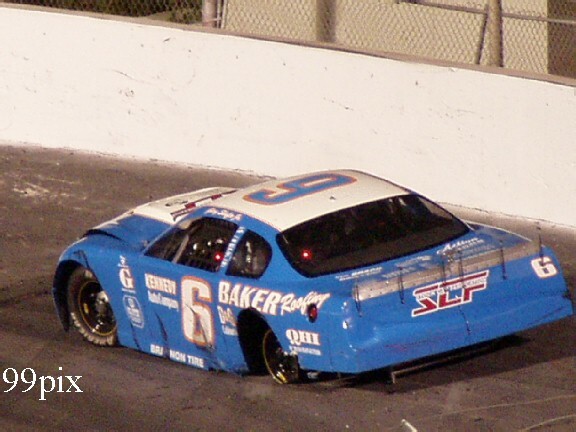 While he held a comfortable lead for the remainder of the race, Fensler trusted his crew chief to not get him bogged down with lap traffic. "Eric Holmes was on the radio and said "Don't worry about getting up there,' " Fensler said. 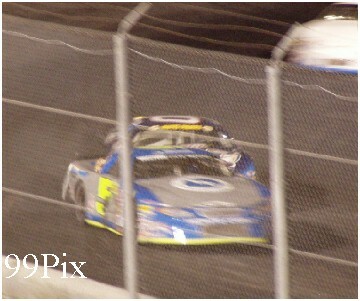 "That's what's cool about having a driver on the radio. He keeps me cool and keeps me calm." 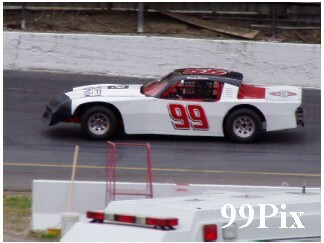 Fensler said he's got into a groove at the 99 Speedway. 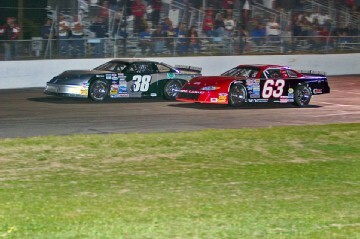 "There's so many things that can happen in 100 laps," Fensler said. 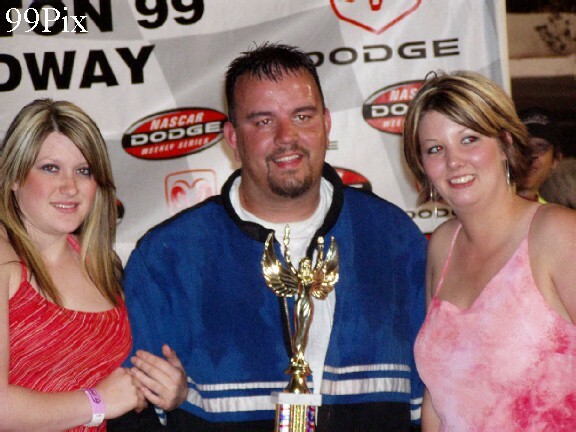 "To go six hundred laps (over the span of six races) is awesome. " Roseville's Harold Reiker Jr., #12, Salida's Jeff Belletto, #6, and Tracy's Mark Smith rounded out the top five. 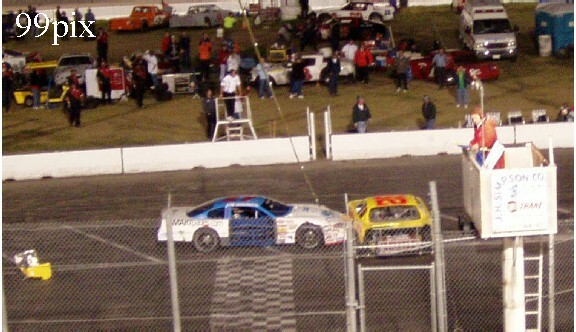 In the American Limited Stock Cars, Modesto's Charlie Clawson set a new track qualifying record (15.570 seconds). It's the third consecutive week the record has been broken. 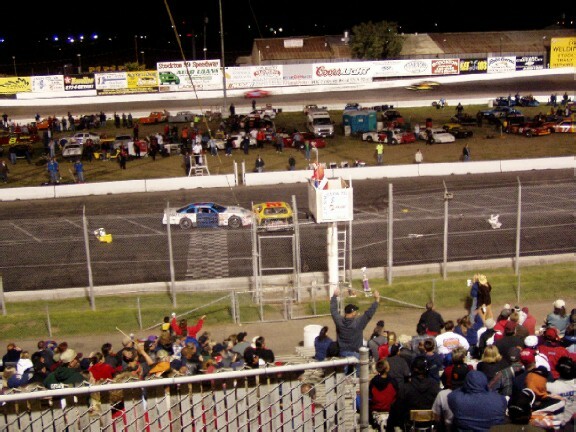 In the Pro 4 Trucks race, Chris Drysdale of San Jose defeated Lathrop's Mark Henslee and Stockton's Mike Curry. 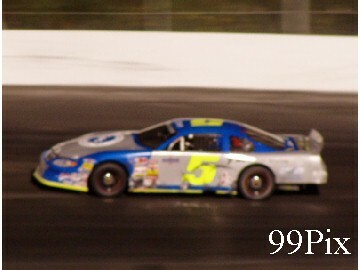 STOCKTON -- Stockton’s, #5, Pete Anderson Jr. started the first leg of the 100-lap HAVOLINE Tri-Holiday Classic Western Late Model race in the fourth position. 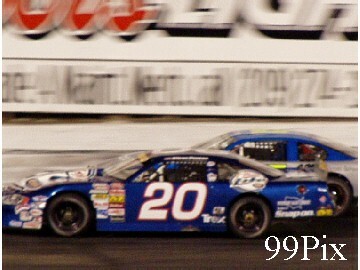 By lap-3 he had worked his way into the lead after methodically passing, #20, Allison Duncan, Wes Miller and Guy Guibor, then things started to get interesting. By lap-5, Turlock’s #11,Chris Monez, from the fifth position, slid past San Rafael’s Duncan into fourth and Turlock’s Miller crept upon, and passed Manteca’s Guibor to get into second. 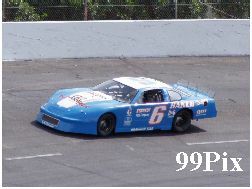 By lap-7, Stockton’s #6, Gary Shafer Jr., who started at the seventh position, had worked his way up to fifth, ahead of Guibor and just behind Duncan. 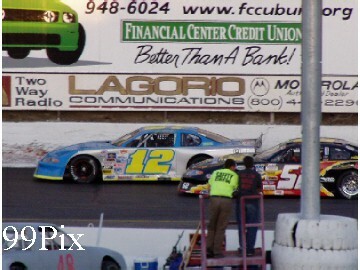 The race held firm for the next nine laps with Anderson Jr. in the lead, Miller at second, Monez at third, Duncan at fourth and Shafer Jr. at fifth, then the first caution flag flew due to a car leaking oil on the track. 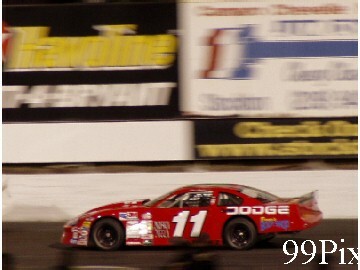 The win was Anderson Jr.’s second 100-lap victory of the season. 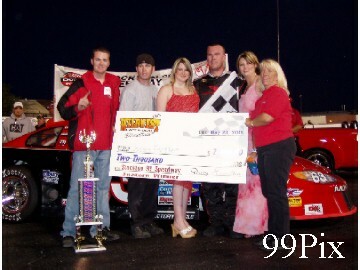 He took the opening HAVOLINE Western Late Model 100. His experience on the track was likely a key factor in Saturday’s win, as he noted: “It don’t come down to where you start (in the 100’s) like it does in the 30’s. There’s a lot more yellows in the 100’s, you need to get through them (to win).” Anderson Jr. also credited his win to a good car and race-savvy crew chief . There were a few other notable performances in Saturday’s Tri-Holiday Classic. Pacific Grove’s Dave Byrd, #21, (2004 WLM Champ) worked his way up from the 11th starting position to capture third. Turlock’s Monez, after dropping to seventh at one point, made a series of commanding passes that earned him fourth. 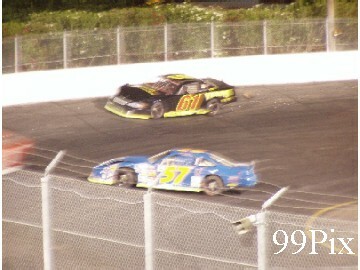 Roseville’s #61,Shannon Mansch shook up the field by capturing fifth after starting 12th. 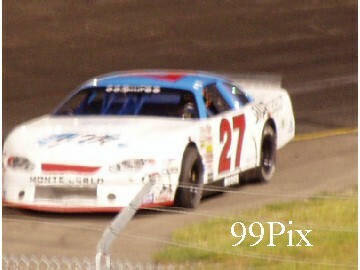 Granite Bay’s John Moore, #27, after having the right- side mid-panel ripped from his car in a collision, came back from 2-laps down to finish 10th. 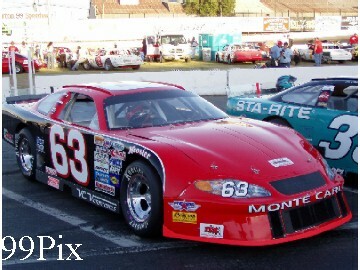 Lodi’s Mike Garcia, #57, finished sixth after starting 19th. 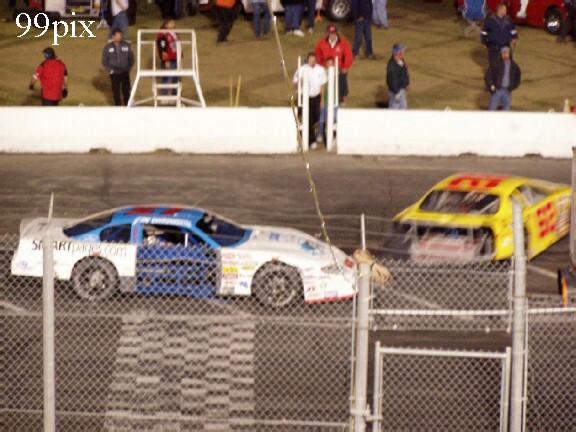 Following the race, in the pit area, Clawson congratulated Darter and remarked that toward the end of the race he told himself, “It’s Donny’s night, go for it!” Following Clawson’s second was Cardoza at third. Allen took fourth and Stockton’s Allen Ryder rounded out the top five. 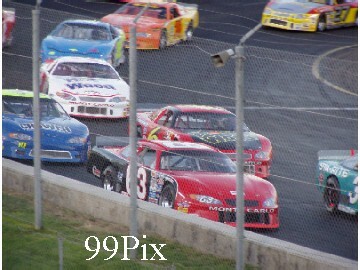 Those always exciting Pro-4 Trucks super minis were back on the track for 25-laps of main event racing. 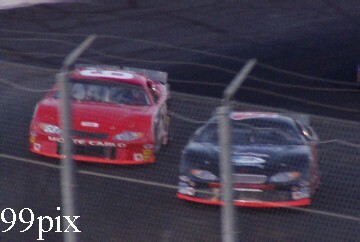 Campbell’s #27,Chris Drysdale captured the main event. French Camp’s Mark Henslee took second, Lodi’s Mike Curry finished third, Milpitas’ Ron Robeck checkered fourth and Ripon’s Tim Fernandes Sr. rounded out the top five.